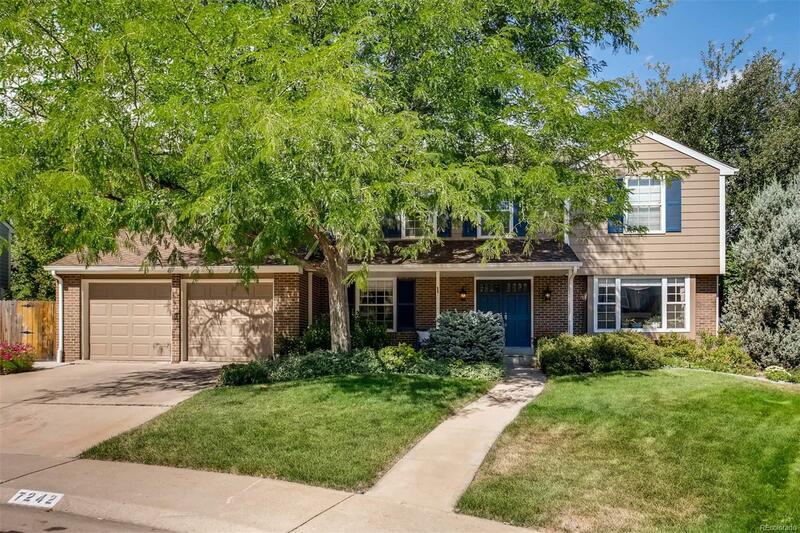 7242 South Hudson Court Centennial, CO. | MLS# 8647863 | Whether Buying, Selling or Building Call an experienced Professional. I am at your service. Go to… Go to… Home All Listings - Closed Listings - Open Houses Search for Homes - Advanced Search - Map Search - Foreclosures - Commercial Search - Beautiful Views - New Construction - Newest Listings for Sale - Centennial - Englewood - Littleton - Greenwood Village - First Time Homebuyers Buyer/Seller Info - Mortgage Rates - Schools - Relocation - Weather About Me - My Blog - Testimonials Contact Me - Dream Home Finder - FREE Market Analysis - Real Estate News!!! Awesome property that has been meticulously maintained and features an updated kitchen, master bath, lighting fixtures, and door hardware-new roof-paint and blinds in 2015, Hardwood-carpet and tile floors, hot tub, wet bar, main floor laundry, washer and dryer included, finished basement with rec room, bath/steam shower, study and storage room, new drive way, additional insulation added and seal for energy efficiency, Beautifully maintained and manicured fenced yard with low flow sprinkler system, covered patio, extended patio, fenced side yard storage with concrete pad and storage shed. The content relating to real estate for sale in this Web site comes in part from the Internet Data eXchange ("IDX") program of METROLIST, INC.DBA RECOLORADO® Real estate listings held by brokers other than Re/Max Masters Millenium are marked with the IDX Logo. This information is being provided for the consumers' personal, non-commercial use and may not be used for any other purpose. All information subject to change and should be independently verified.